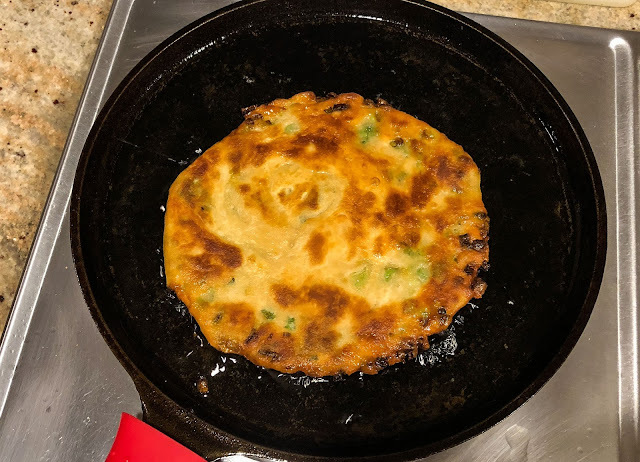 I continue my quest for a terrific Green Onion Pancake recipe, a favorite menu item at Chinese restaurants but one that still eludes me at home. 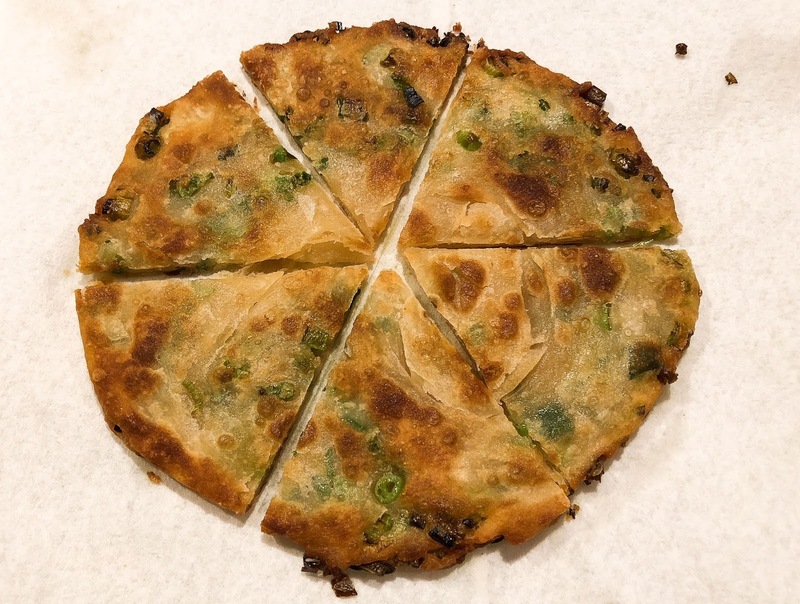 I've tried recipe after recipe, but continually miss the mark of the ideal crunchy yet flakey Scallion Pancake. It shouldn't be all that difficult; it's just a pancake, right? 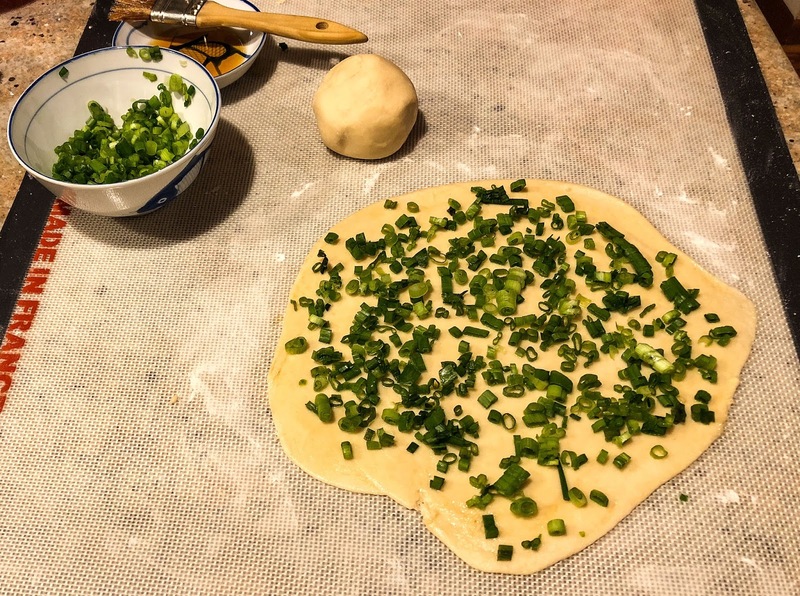 Flour and water, plus oil and chopped green onions. Hah! 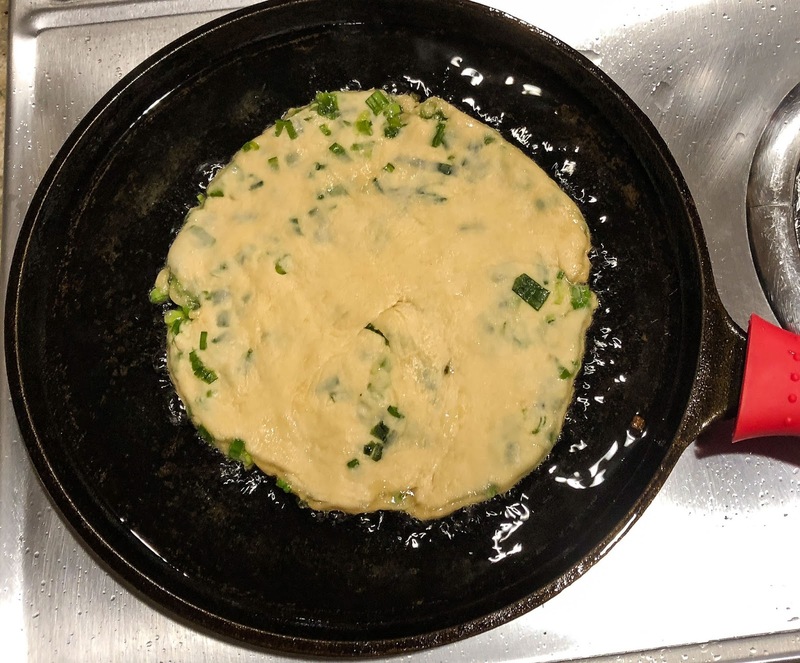 Just a pancake, not! My first Korean Green Onion Pancake attempt was far too omelette-like. 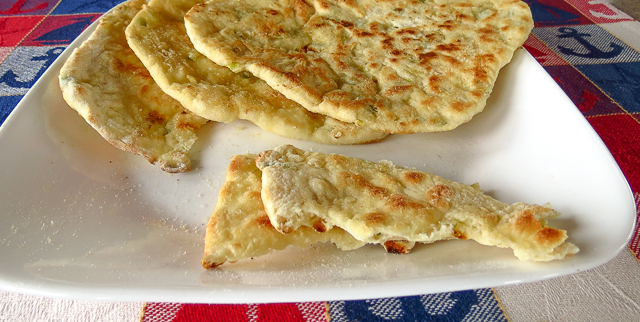 This next try was an Asian Style Flatbread (Pancake); tasty but not flakey and much too bread-like. Then I slid into shrimp and cabbage pancakes (okonomiyaki) link and link, an entirely different pseudo-omelette/pancake-like adventure. Take a minute to skim Pinterest and you'll find all manner of Green Onion Pancakes; thick ones, fluffy ones, flat ones, stuffed or flat ones, coiled pancakes or rolled... Who knew there were that many Scallion Pancake variations? Decisions, decisions, what to try next?! 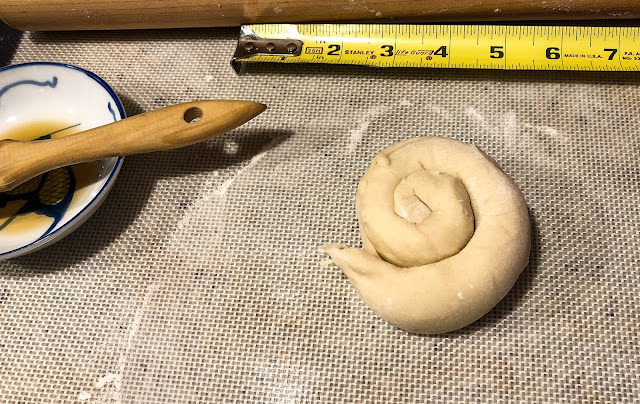 A Kenjii Lopez-Alt "Food Lab" treatise encouraged me to try his hot-water, twice-rolled dough method. What made this technique so different? * Adding hot-water to the flour to retard gluten development and limit the airy bounce and chewiness of the finished pancake. 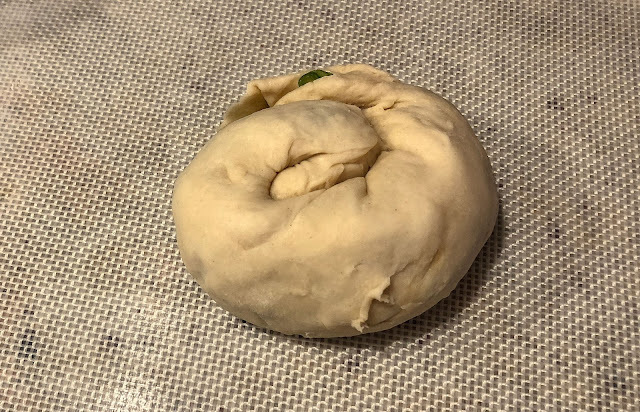 * Rolling and coiling the dough twice to create multiple layers of dough separated by sesame oil. 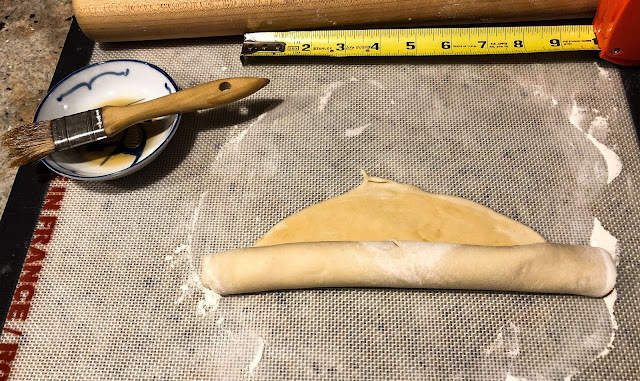 Think laminated dough, like puff pastry (only much easier). Place 1 cup flour in the bowl of a food processor and slowly add up to 1/2 cup boiling water until the dough just comes together. Knead briefly on a floured surface; cover and set aside for an hour. Then the fun begins. Yum! 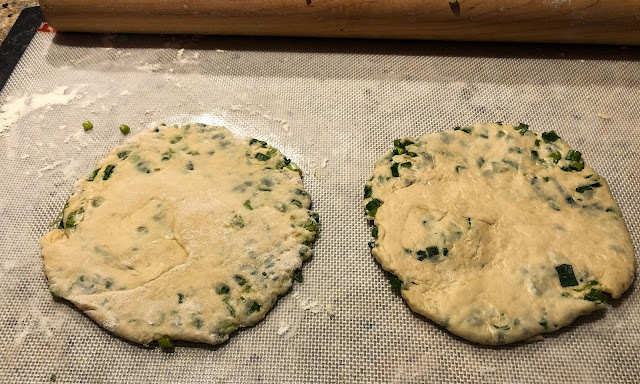 The Scallion Pancakes of my dreams are still a work in progress, but this first batch was a big step in the right direction. 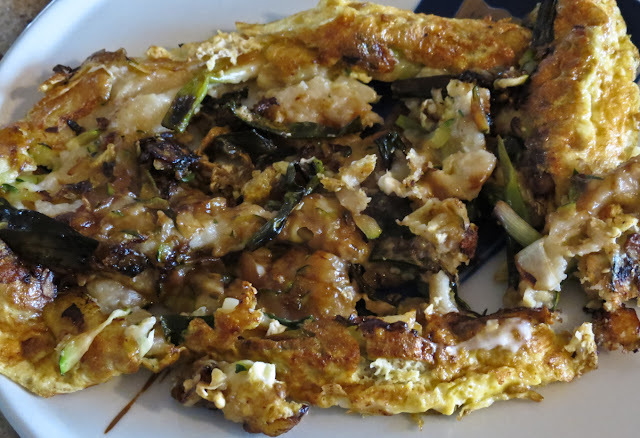 You'll find the detailed recipe and directions at Kenjii's post here; check it out. 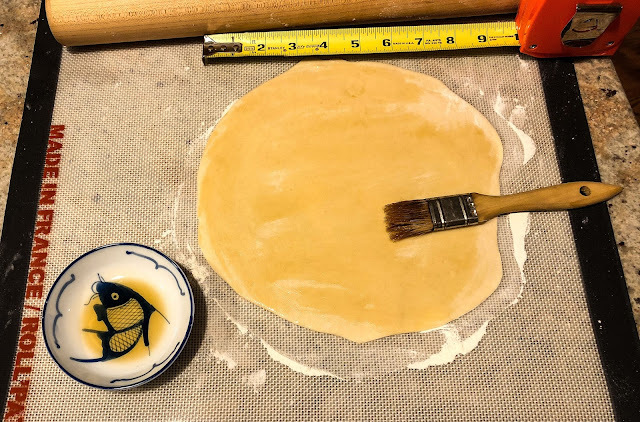 Take a few minutes and read the backstory here, whether you decide to make the pancakes or not. The science of baking is intriguing.